London public transit info on Google Map. 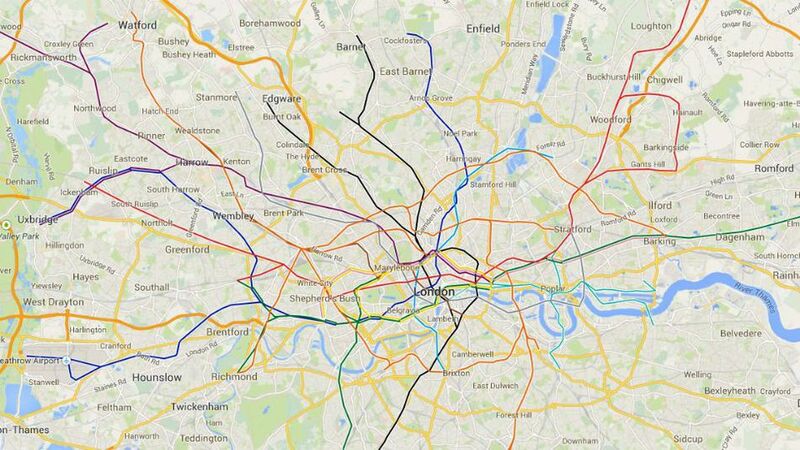 On May 14, 2014, Google has added public transit data for all UK transit lines. Google has updated public transit info for the UK, adding information for every single transit line in the country. Vancouver and Chicago areas has also been updated with real time update. And for those traveling to see the soccer World Cup this year, Google points out it has recently added public transit info for every host city in Brazil. Google has also provided some metrics related to transit data on Google Maps. According to the company, Google Maps now has transit data for 15,000 cities and towns across 64 countries and 6 continents. All in all, you can find over 2.3 million transit stations on Google Maps. Google has added a big update to its Maps last week, improving offline maps, navigation and Uber integration. Check out our overview of the most important new features here.